Discovered in the early 1800s and named nicotianine, the oily essence now called nicotine is the main active ingredient of tobacco. Nicotine, however, is only a small component of cigarette smoke, which contains more than 4,700 chemical compounds, including 43 cancer-causing substances. In recent times, scientific research has been providing evidence that years of cigarette smoking vastly increases the risk of developing fatal medical conditions. Passive smoking, the breathing in of the side-stream smoke from the burning of tobacco between puffs or of the smoke exhaled by a smoker, also causes a serious health risk. A report published in 1992 by the US Environmental Protection Agency (EPA) emphasized the health dangers, especially from side-stream smoke. This type of smoke contains more, smaller particles and is therefore more likely to be deposited deep in the lungs. On the basis of this report, the EPA has classified environmental tobacco smoke in the highest risk category for causing cancer. A more recent study by researchers at the University of California at San Francisco (UCSF) has shown that second-hand cigarette smoke does more harm to non-smokers than to smokers. Leaving aside the philosophical question of whether anyone should have to breathe someone else's cigarette smoke, the report suggests that the smoke experienced by many people in their daily lives is enough to produce substantial adverse effects on a person's heart and lungs. The report, published in the Journal of the American Medical Association (AMA), was based on the researchers' own earlier research but also includes a review of studies over the past few years. The American Medical Association represents about half of all US doctors and is a strong opponent of smoking. The study suggests that people who smoke cigarettes are continually damaging their cardiovascular system, which adapts in order to compensate for the effects of smoking. It further states that people who do not smoke do not have the benefit of their system adapting to the smoke inhalation. Consequently, the effects of passive smoking are far greater on non-smokers than on smokers. This report emphasizes that cancer is not caused by a single element in cigarette smoke; harmful effects to health are caused by many components. Carbon monoxide, for example, competes with oxygen in red blood cells and interferes with the blood's ability to deliver life giving oxygen to the heart. Nicotine and other toxins in cigarette smoke activate small blood cells called platelets, which increases the likelihood of blood clots, thereby affecting blood circulation throughout the body. Choose the appropriate letters A—D and write them in boxes 1-3 on your answer sheet. A are responsible for 84,000 deaths each year. B are strongly linked to cigarette smoking. C are strongly linked to lung cancer. D result in 30 per cent of deaths per year. A inhibits the flow of oxygen to the heart. B increases absorption of other smoke particles. C inhibits red blood cell formation. A blood circulation through the body. B activity of other toxins in the blood. C formation of blood clots. D an increase of platelets in the blood. Do the following statements reflect the claims of the writer in Reading Passage? 4 YESNONOT GIVEN Thirty per cent of deaths in the United States are caused by smoking-related diseases. 5 YESNONOT GIVEN If one partner in a marriage smokes, the other is likely to take up smoking. 6 YESNONOT GIVEN Teenagers whose parents smoke are at risk of getting lung cancer at some time during their lives. 7 YESNONOT GIVEN Opponents of smoking financed the UCSF study. Choose ONE phrase from the list of phrases A-J below to complete each of the following sentences (Questions 8-10). Write the appropriate letters in boxes 8-10 on your answer sheet. includes reviews of studies in its reports. argues for stronger action against smoking in public places. is one of the two most preventable causes of death. is more likely to be at risk from passive smoking diseases. is more harmful to non-smokers than to smokers. 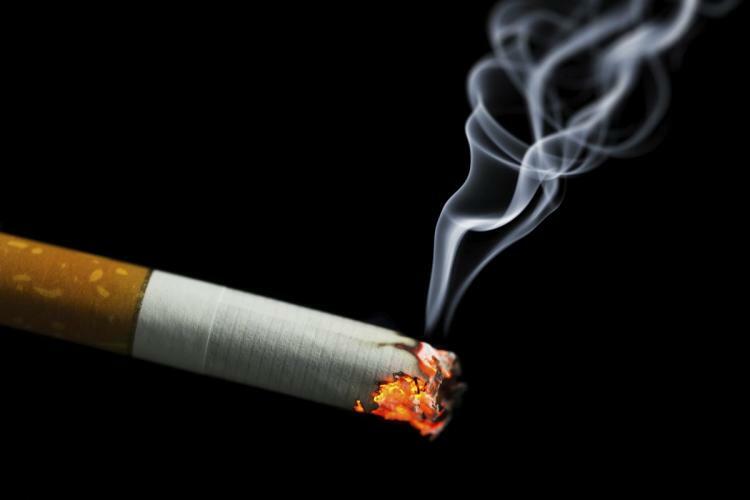 is less likely to be at risk of contracting lung cancer. is more likely to be at risk of contracting various cancers. opposes smoking and publishes research on the subject. is just as harmful to smokers as it is to non-smokers. reduces the quantity of blood flowing around the body. Write the appropriate letters A-D in boxes 11-14 on your answer sheet. 11 ABCD Smokers’ cardiovascular systems adapt to the intake of environmental smoke. 12 ABCD There is a philosophical question as to whether people should have to inhale others’ smoke. 13 ABCD Smoke-free public places offer the best solution. 14 ABCD The intake of side-stream smoke is more harmful than smoke exhaled by a smoker.